Stumptown coffee lord and Division Street foodpin Duane Sorenson bakes up ambition, artisan breads, and casual dining next door to Ava Gene’s. We peeked inside what will surely be a talker when it opens Monday, July 8. The marble counters are installed and the subway tiles are gleaming, warmed up by muscular Oregon walnut pastry cases stocked with bottles of Stumptown’s cold brew and Italian chinotto sodas. Since last week, test-drive batches of rustic pastries and handsome breads have been tumbling out of a pair of serious ovens. That means one thing: Roman Candle Bakery, Duane Sorenson’s love letter to pizza bianca, Italian snacking, artisan baking, all things Division Street, and, not least, Stumptown coffee, is ready to rise on Monday, July 8, at 3377 SE Division Street. Next door is Ava Gene’s, his rocking, bar-raising, marble-clad ode to Italy and Oregon farms. Read my review of Ava Gene’s here. Opening details: Roman Candle will open Monday, July 8 as a coffee-pastry bar, then roll out lunch and dinner over the next month. 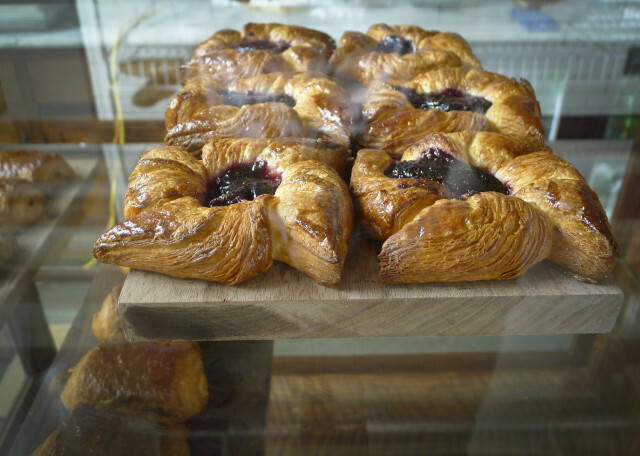 The first few weeks will focus on sweet and savory pastries, croissants to fruit galettes to pockets stuffed with meats, cheeses, and/or vegetables. As details are bolted down, casual lunch and dinner menus (still in the think-tank stage) will unfold. 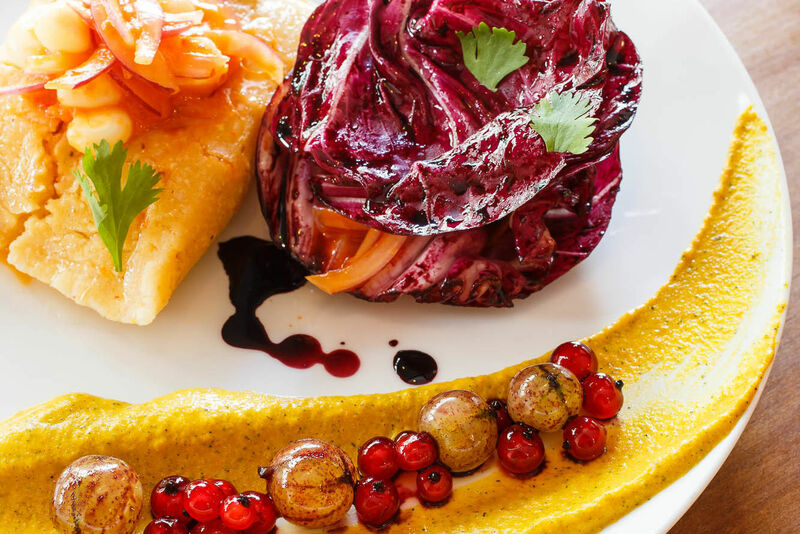 The center of attention will be fresh-from-the-oven slabs of pizza bianca—wood-fired sheets of Roman flat-bread at the crossroads of focaccia and pizza—with varied toppings. 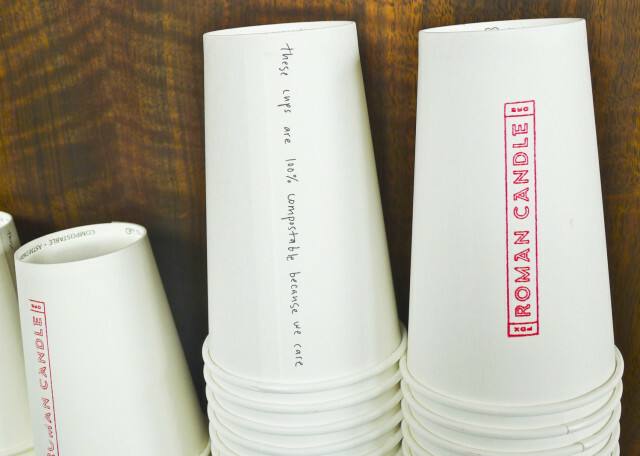 Prediction: Roman Candle will contend for Portland’s best morning retreat. 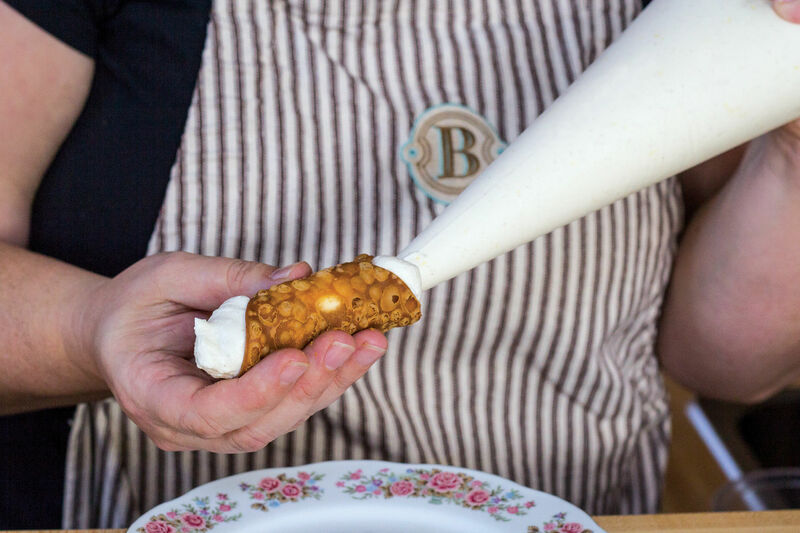 Portland has one of the country’s best artisan baking scenes, with players in every quadrant—from the French-rustic obsessions of Ken’s Artisan Bakery in Northwest to Tim Healea’s bread bastion Little T American Baker mere blocks away on Division Street. But few package ambitious baking with great atmospherics, alert service, and dialed in coffee. Roman Candle has considered them all. Sorenson has transformed his former Stumptown processing space into a striking room with old and new materials, carrying over some of the marble, rich wood, and custom tile from Ava Gene’s, one of Portland’s best rooms (and restaurants). Sorenson knows design and it shows. 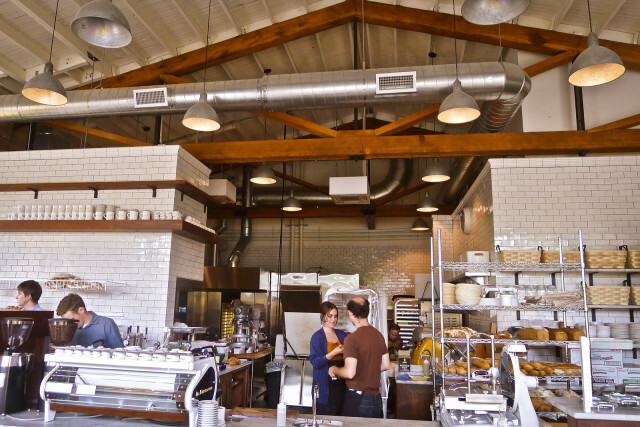 The original wood beams hover over a mile of pastry cases, bread racks, a coffee bar, and a wood-fire oven. Seating is at four communal tables fashioned from gorgeous slabs of dark Oregon walnut. Molded white plastic chairs with intricate metal stands are sleek but comfy. The effect is modern and striking, warm and cozy. Coolest detail: A futuristic La Marzocco espresso machine with a glass front revealing the inner workings of copper tubes and chunky industrial bolts. The handy folks at expressoparts.com custom built the machine for Roman Candle (Sorenson, founder of the landmark Stumptown Coffee Roasters, is no doubt a very good customer). Let the bread wars begin. 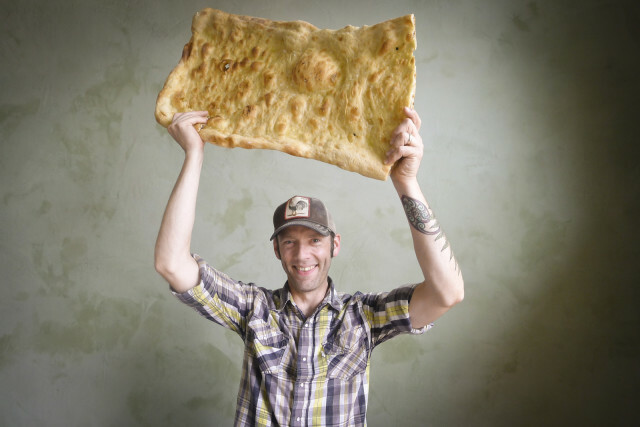 Sorenson and head baker Dan Griffin are charging right into Portland’s oven-baked battlefield with a full battalion of breads—a dozen to start, from eight different doughs. Think German Vollkornbrot, French baguettes, and Italian egg bread. 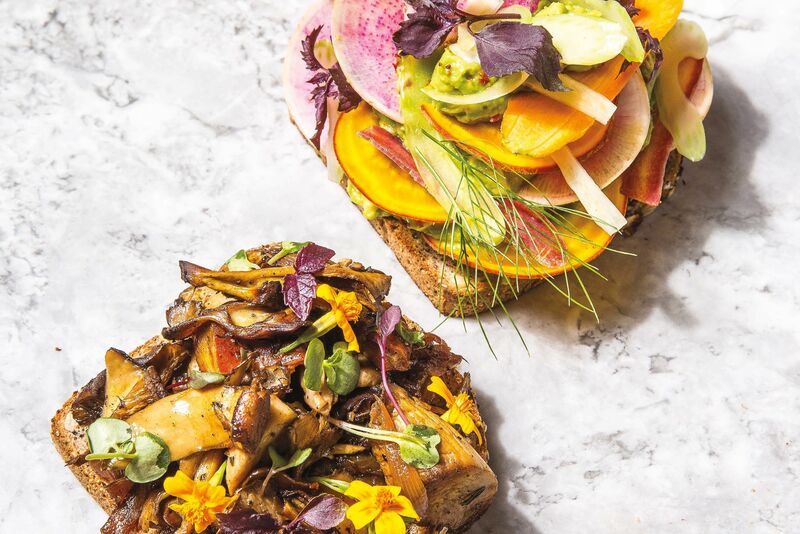 The breads and pastries will also feed Sorenson’s other projects: Ava Gene’s, the Woodsman Tavern, and Woodsman Market up the street, and all of Portland’s Stumptown coffee shops. The plan also includes wholesale accounts to supply local restaurants and, possibly, a future slot on grocery shelves. 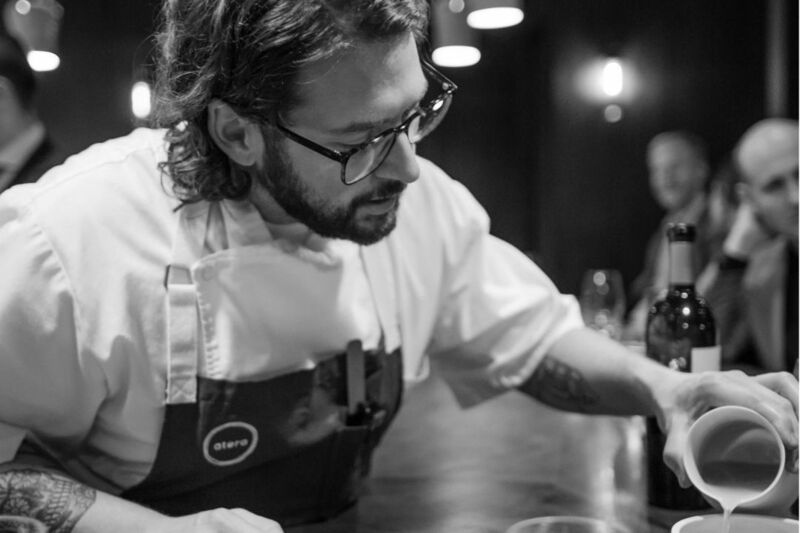 Griffin’s resume stretches from head-baking duties at Thomas Keller’s Bouchon Bakery in California to eight years under famed bread man Craig Ponsford at Sonoma’s Artisan Bakers. Though he worked the ovens as head baker at Portland’s Pearl Bakery and Lovejoy Bakery, he’s an unknown here. Griffin’s reputation will rise or fall on Roman Candle. If everything is as good as his crackling hazelnut croissant, fat with a thousand specs of delicate nuts, he’ll be okay.